The First Birthday is the beginning of many milestones to come. And if you're a new parent you may be wondering where to start. Well, according to the latest trends, circus and carnival themed parties are a surefire crowd-pleaser. Boys and girls everywhere love the bright colors and even at 1 year old they recognize the iconic circus and carnival look. 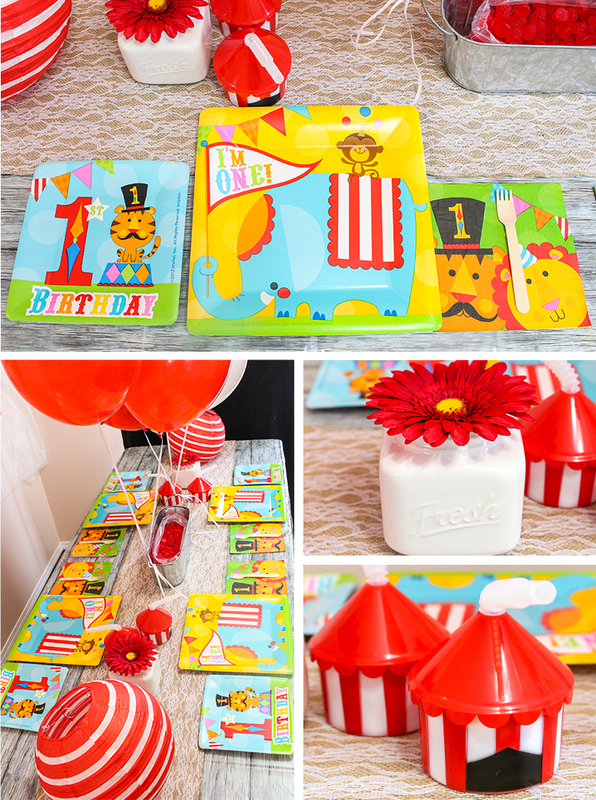 Our newest contributor from Moms & Munchkins styled this adorable Circus First Birthday for us. Here's how it looks! Add in some printable supplies to make it more personalized! The little details can make your party more memorable. 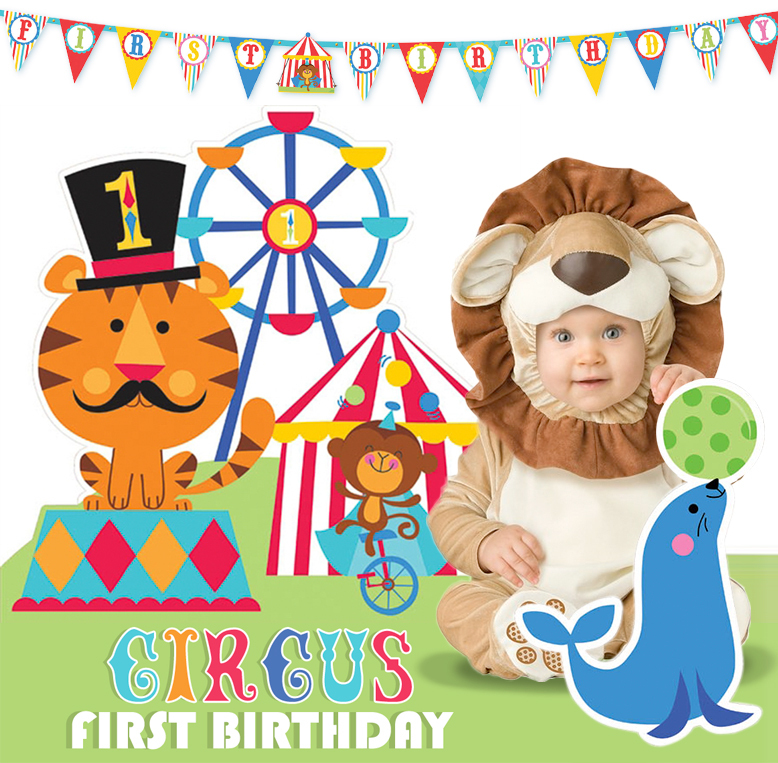 Check out some circus-themed printables from this Etsy shop that were used to complete this party. 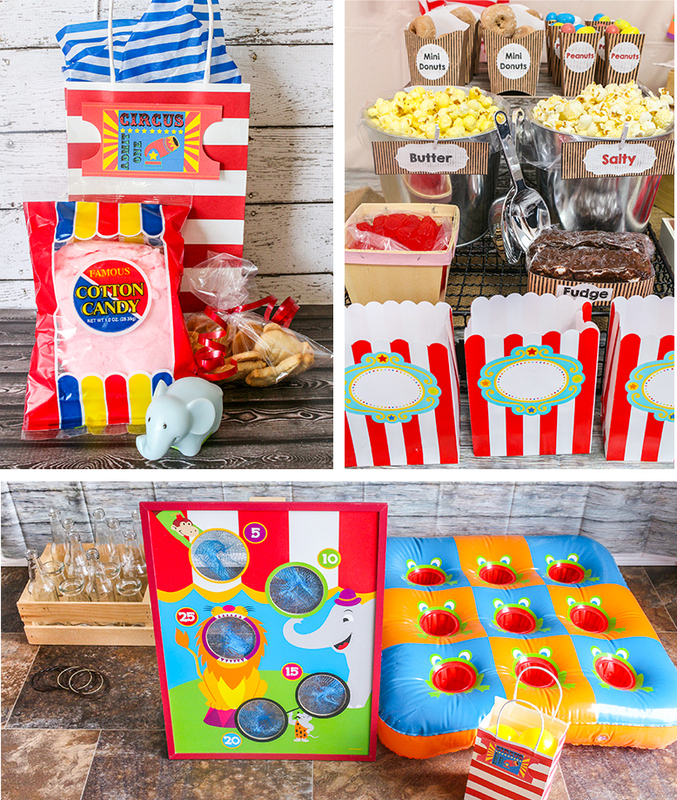 Pick snacks that fit the carnival theme! 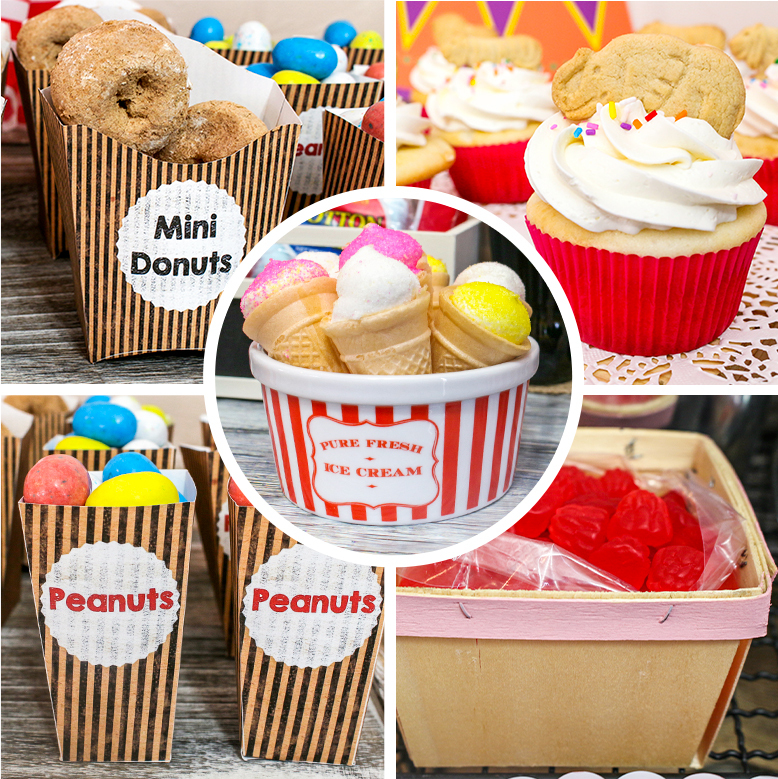 Hot dogs, popcorn, peanuts, cotton candy, fudge, gummy candies, mini donuts, ice cream, and cupcakes will satisfy the young and old! Print labels to let everyone know what is being served. 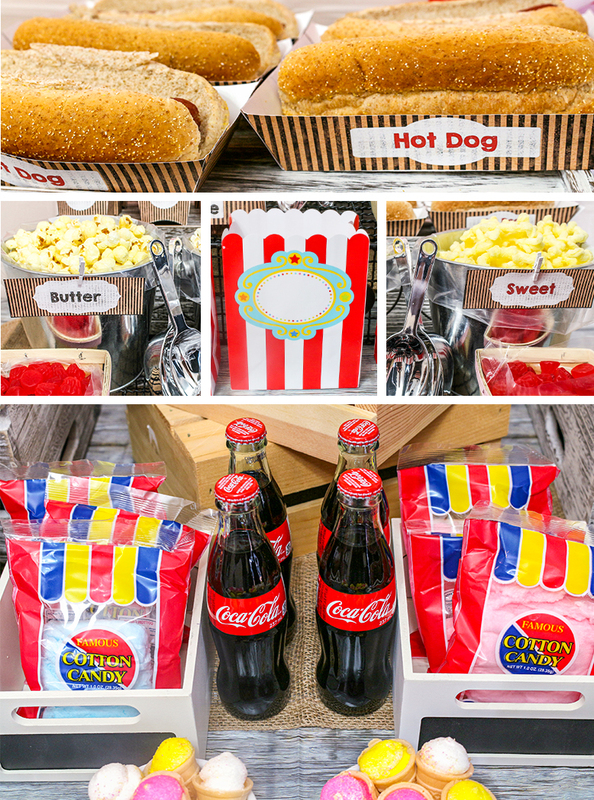 Printables for mini donuts, peanuts, hot dogs, popcorn and fudge all from Moms & Munchkins personalized printables. Plan games to keep the kids busy! Its a good idea to have the games set up in advance so the kids have something to do as soon as they arrive. Make sure the activities are appropriate for the all of the young guests. For more Circus Birthday Party Ideas, check out our Pinterest board for inspiration!